Henry Blundell Esquire Ince in p. Sephton & Bridget Tildsley d. Thomas Tildsley Knight p. Lalond pub. Dec. 24 :Jan.7:14. 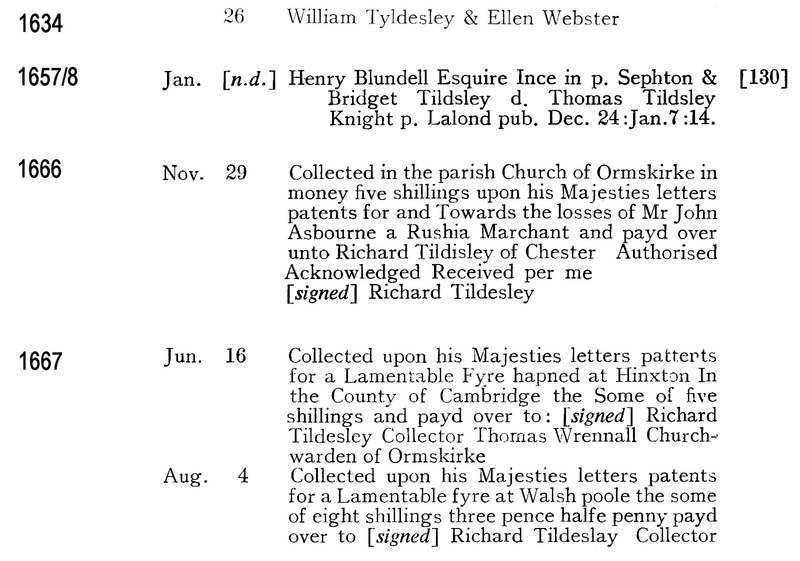 Bridget Tildsley was the daughter of Sir Thomas Tyldesley 1612-1651. 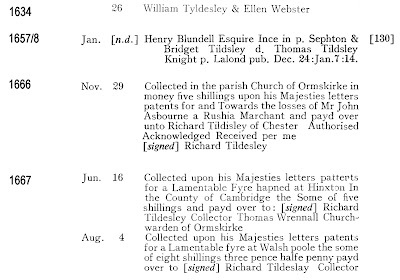 William Tyldesley and Richard Tyldesley do not appear in the Gillow and Hewitson Pedigree.